If former bankrupt Hokie, Atlanta Falcon, federal prison inmate and current Philadelphia Eagle Michael Vick owes you money, things just got better for everybody. 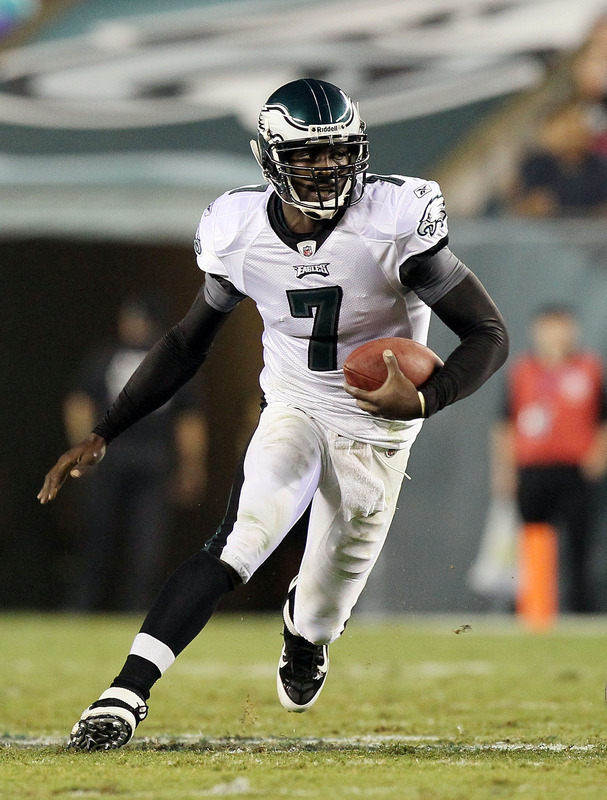 America loves a comeback and the redemption tale that is Michael Vick keeps getting better. Following a spectacular comeback season last year, the Eagles agreed on a six-year contract with Vick on Monday that again makes the Pro Bowl quarterback one of the highest-paid players in the NFL. A source familiar with the negotiations say the deal is worth $100 million, including about $40 million guaranteed. Vick has come a long way since spending 18 months in the pokey on dogfighting charges. He led the Eagles to the NFC East title last year, was the starting quarterback in the Pro Bowl and was the AP Comeback Player of the Year. Vick was due to earn slightly more than $16 million this season after the Eagles designated him the franchise player in February. 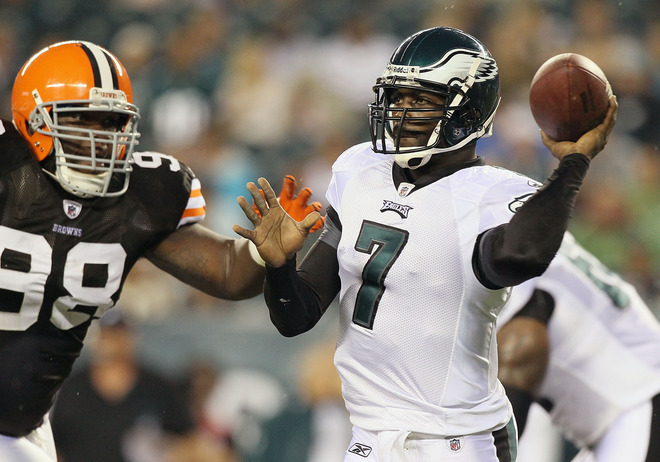 The 31-year-old Vick joined the Eagles in 2009, but became the starter after Kolb got hurt in the season opener. He then guided the Eagles to an 8-3 record in 11 games as a starter in his first season playing full-time since 2006. He set career highs in yards passing (3,018), touchdowns passing (21), touchdowns rushing (9), completion percentage (62.6) and passer rating (100.2). Vick also rushed for 676 yards.